Cherry loses it and questions Jeet about who he truly loves. He then reveals the painful truth to her. Cherry finds out the truth behind Jeet’s rude behaviour towards her. Durga succeeds in turning Cherry against Soni. Shabd's condition gets better. He tries to patch things up with Mahi but she thinks otherwise. Can these two resolve the problems in their marriage? Destiny plays a game with Shabd and Mahi. Though they long to be with each other, events keep pushing them apart. Mahi announces her move from the house. Just when Mahi decides to work on her marriage, an obstacle arises. 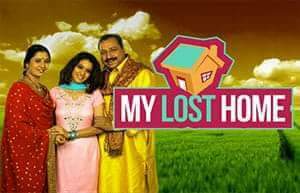 Mahi finds herself stranded after leaving her in-laws’ house. Durga continues in her pursuit to drive a wedge between Soni and Cherry. Suhani is given a job opportunity, but, there is a high price to pay for it. Aunt Billo and Mahi have joined forces to make Suhani’s life a nightmare. Soni and Jeet find themselves alone, in a compromising situation. Finally, the truth about Suhani’s pregnancy is revealed. Cherry conspires to create problems between Soni and Veer. The Khurana house remains a battle field. Mahi is unable to curb her curiosity about the lady she met at the temple, she then goes back to look for her. A homeless woman claims to be Mahi’s mother. She keeps following Mahi in pursuit of convincing her that she is indeed her mother. Mahi takes in the woman claiming to be her mother, despite Shabd’s disapproval. How will the rest of the family react to this? Durga is left dumfounded when Cherry reveals her true conniving nature to her. Harry gathers the courage to express his feeling to Lovely. Soni loses a valuable coin given to her by Veer. She later finds herself in a sticky situation when he asks for it. Mahi receives news that force her to question her values. A fight breaks out between Veer and Soni after he finds out that she is hiding a secret from him. Soni gets caught up in her own lies. Mahi takes a brave step by introducing Soni to the woman claiming to be her mother. The distance between Soni and Veer keeps growing by the day. Everyone is planning an anniversary celebration for Soni and Veer, but things aren’t looking good for the couple. Veer and Soni are celebrating their wedding anniversary but instead of there being joy, Veer interrogates Mahi. Cherry plots to reveal the truth about Jeet and Soni’s past relationship. How will this affect the brothers’ relationship? Cherry goes head to head with Durga. Mahi’s in-laws’ break into a panic when Soni disappears. Soni receives news that might bring an end to her marriage problems. Jeet storms out of the house after witnessing Durga’s merciless attitude towards Soni. Cherry plants doubts about Soni’s pregnancy in Veer’s head. Jeet gets fed up with Cherry’s conniving ways, as a result, he decides to leave the house. The family receive the results of the paternity test; it clearly shows that Cherry had her hand in the outcome. Veer reacts drastically to the results and takes an unexpected decision. Cherry has finally managed to bring division in the Khurana family. A series of events involving Veer end with the family in shock and mourning.